At Burgess Flooring in Sussex we carry the full range of Altro Whiterock hygienic PVC/uPVC wall cladding. 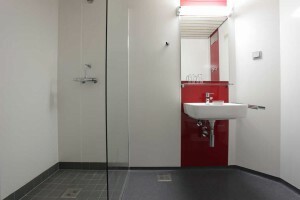 Today’s hygiene regulations demand that surfaces must be smooth and easy to clean, and that walls are durable, impervious and impact resistant. Whiterock sheet PVC wall cladding from Altro is 100% watertight, unlike tiled surfaces. Being impervious, the PVC wall cladding can be used practically anywhere. Showers and kitchens in particular benefit from the watertight, seamless, wipe clean surface that the system provides. Unlike a tiled surface there is no grout involved, so dirt and bacteria have nowhere to hide. Also, water can’t seep through to the substrate behind – a problem that can cause major structural damage to any building. Our Hygienic PVC Cladding installers specialise in the installation of wall and ceiling finishes. We also use the Altro Whiterock Digiclad system which any photo or logo can be applied to and the sheets can be cut to any size. There are a full range of colours to choose from. 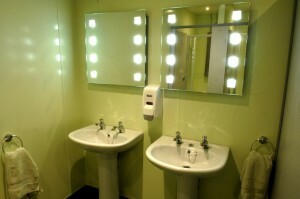 Are a clever alternative to high maintenance and unhygienic tiles. 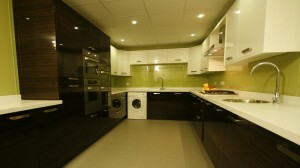 They have all the physical properties of Altro Whiterock and come in kits for ease of installation. With bespoke sizes, suiting the standard dimensions of most hand wash basins and vanity units, all commercial and domestic projects can benefit from their grout-free hygiene. Available in a vast range of colours, they offer you great flexibility to co-ordinate with your surroundings. Each colour option can be complemented by colour match sealants. Simply choose your background from either the Altro Whiterock Satins or Altro Whiterock Chameleon range and order in a size to suit your requirements. Book an estimate today and experience the exceptional, unique and bespoke capabilities of Altro Whiterock! Just click on the links to find out more about our skills and what additional products we offer our Altro Whiterock clients.